Gibson was born in Westchester County New York and moved with his family to Australia when he was 12 years old. Gibson attended the National Institute of Dramatic Arts at the University of New South Wales in Sydney. Gibson was brought to the attention of director George Miller, who cast him in Mad Max, the film that first brought him worldwide recognition. This was followed by the title role in Tim, starring as a handicapped young man for which he won an Australian Film Institute Best Actor Award. He went on to reprise his role as Mad Max in Mad Max -- The Road Warrior and Mad Max Beyond Thunderdome and teamed with director Peter Weir in Gallipoli, which brought Gibson a second Australian Best Actor Award. A few years later, Weir and Gibson again collaborated on The Year of Living Dangerously. Gibson made his American film debut in The River. His other films include The Bounty, Mrs. Soffel,Tequila Sunrise, Bird on a Wire and Air America. He has starred in Icon productions "Forever Young"; "The Man Without a Face," which also marked his film directorial debut; "Maverick," opposite Jodie Foster. 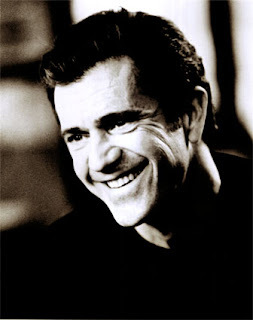 Mel Gibson recently starred in the Revolutionary War drama The Patriot and was one of the featured voices in the animated movie Chicken Run. He is not only one of the world’s most accomplished actors but also an Oscar®-winning director and a respected filmmaker. In the course of his career as an actor, he has tackled roles in films ranging from the smash hit Lethal Weapon series to the western comedy Maverick to the psychological thriller Conspiracy Theory to the historical epic adventure Braveheart. Gibson produced, directed and starred in Braveheart, which won five Academy Awards® out of 10 nominations, including Best Picture and Best Director. Gibson’s company, Icon Productions, which Gibson created with Bruce Davey, developed and produced Braveheart along with many other movies in a diverse range of genres including Immortal Beloved and FairyTale: A True Story. Other Icon productions in which Gibson starred include Hamlet, directed by Franco Zeffirelli, Forever Young, The Man Without a Face, which also marked Gibson’s directorial debut, and the hit thriller Payback. Off the screen, Mel is a true Hollywood Wonder. He's been married since 1980, has 7 children (Hannah, twins Edward and Christian, William, Louis, Milo and Tommy), and has not been divorced!